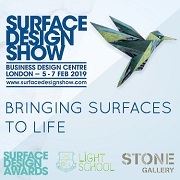 Covering over 100 design events a year and currently housing over 30,700 images in 1,140 reports keep 143 countries and 5,216 cities in the know! Are you reading Trendease.com? In this edition of Trendease we ring in the New Year with inspirations in bedding, fabrics, furnishings, lighting, decorative accessories, funky fashion, eco innovations, new talent and more. Learn how textile innovations can improve our world in nine different categories. Get a sneak peak of Maison&Objet’s highlighted creators. Find the gold at the end of the rainbow at hotels and in lighting. See what designs are making the cut while sitting in the best seat in town. Notice how the latest products are sprouting wings. Tour the world of design without ever leaving your home or office. A myriad of images and informative videos await you. Be inspired with the January edition! Worldwide — If you want to go the whole nine yards check out the textiles in the photo selection in this gallery. At recent trade events the Trendease Team has noted the fresh colors, motifs, textures, and detailing in the world of soft furnishings. Also in this column, read Jennifer’s impressions on the future of textile technologies. In the New Year and beyond, we are in for something special! Kortrijk — Nine ways in which new fibers are revolutionizing the textile industry. Here are fabrics used in ways previously never even imagined. For furniture, fashion, healthcare, sports, transportation, architecture, and beyond, the world has new applications for textiles. The scientists will make the fabrics intelligent; now it is up to designers to teach them new tricks. Multiple European Cities — You can keep coming home to your stuffy little apartment, or you can throw open the shutters and toss out that collection of wire hangers the local laundromat has been helping you compile. Let some life into the closet. Be shown how your lights can mimic nature and your textiles repeat the great outdoors. These winged whimsies will make you wonder why you’ve waited so long to do it. Come, fly away with me. Multiple European Cities — Funky fashions were found in abundance during recent scouting trips. Much of them deconstructed the rules and forms of fashion, breaking them down and rebuilding them in new and attention-grabbing ways. Designers used thought-provoking themes as the basis for their creations to elicit discussions about fashion, appearance and the human form. Multiple European Cities — The world is indeed a colorful place. And even more so, with the light technology and interior design of two of Europe’s rainbow-styled hotels. In addition to exploring international hotels, the Trendease Team has also come across new lighting fixtures with a broad spectrum of colors. Paris — Every season has its creator. On the cutting edge of creation are the Designers 2009 at Maison&Objet’s ‘scènes d’intérieur’ and ‘now! design à vivre.’ Entering into the New Year, these creatives will inspire attendees at the January edition of Maison&Objet to be held the 23rd-27th of this month. These designers are revolutionizing the world with their imagination and innovations. Videos complement the text and photo gallery. Multiple European Cities — This simple piece of furniture is found in every home, at every table and in every living room. Chairs, however, weren’t always as commonplace as they are today - they were almost exclusively symbols of authority or dignity. The students featured here within know how important chairs are to our daily life and have added some ingenious new twists to this old favorite. Worldwide — Creative processes go well with old and new materials to produce beautiful, if unlikely combinations. Giving a new lease on the stories of old, some new ways of producing furniture, and materials from nature and man, the furniture found within this gallery is certain to inspire you. See what books, the sun, pineapples, bamboo, and plastic bottle caps have in common. Frankfurt — The new Trend Table at Heimtextil has gotten the inspirational juices flowing for 2009/2010. Hide and seek in drapery and puffed up textiles, push natural beauty into surreal shapes. Cream and skin tones seem transparent and clear, but obscure. What you see may not be what you get. This way to see what the Illusionist has up his sleeve. This is one of six themes covering textile colors and detailing. Frankfurt — The new Trend Table at Heimtextil has gotten the inspirational juices flowing for 2009/2010. The finest treasures of the past are covered with a new coating once we have realized that we have discovered a rarity. We bring the past forward to us, and acquaint ourselves with our own cultural heritage. Slip and slide between eras and epochs in this trend through our Time Traveler. This is one of six themes covering textile colors and detailing. Frankfurt — The new Trend Table at Heimtextil has gotten the inspirational juices flowing for 2009/2010. Chase the rainbow! Even if it escapes, along the way a new wisdom is found. In the midst of chaos and confusion, the eye that remains calm sees best. If the way is lost, the Fortune Teller trend will point the right path. This is one of six themes covering textile colors and detailing. Frankfurt — The new Trend Table at Heimtextil has gotten the inspirational juices flowing for 2009/2010. Displaying the rigor of a masculine mood, the Alchemist reconsiders the laws of nature. Dissecting metals, minerals, and light, new shapes emerge. Sculptural, yet mathematical, the shapes influence fabrics and colors. See the way they all look here. 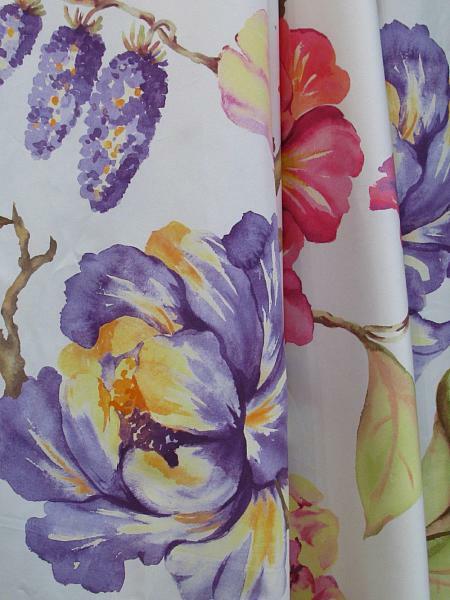 This is one of six themes covering textile colors and detailing. Frankfurt — The new Trend Table at Heimtextil has gotten the inspirational juices flowing for 2009/2010. In a neo-natural forest, technological flora and fauna dominate. Mimicry becomes the real thing, and crafty artisans are supreme artists. The trick in this trend is to make it all look as natural as moss covered stone and tree bark. How is it done? It must be Witchcraft! This is one of six themes covering textile colors and detailing. Frankfurt — The new Trend Table at Heimtextil has gotten the inspirational juices flowing for 2009/2010. Mix up the colors and throw them every which way. They are like giant confetti celebrating a wacky world, fresh and joyful to the last of them. Ecstatic and mesmerizing, the Enchanted trend leans on modernist colors and materials. A fantastic world awaits this way. This is one of six themes covering textile colors and detailing. Multiple European Cities — A very warm HAPPY NEW YEAR greeting to you! The Trendease Team and hopes that you enjoyed your holiday and welcomes you to 2009 in style. We have been discussing the trend of using negative space as a design element. Laser, water jet, scissor, or die cut, the processes are as vast as the designs they create. In this week’s photo gallery subscribers can view which products are making the cut and read tidbits on the Times Square Ball lighting and a decorating tip from Jennifer’s grandmother! Frankfurt — Greetings from Heimtextil! It has been great to see so many of our readers and to have a group of the very international Trendease Team together in one place! It may not surprise you to hear that the traffic on the trade floor appears to be down. But rest assured that to the trained eye there are things not to be missed on display here. If you couldn’t make it to the show it is our aim to bring you a thorough recap. Let’s start with some of the products we have discovered. 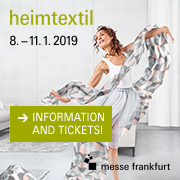 Frankfurt — This week’s newsletter continues our exclusive online media partnership with Heimtextil. Last July you received a special sneak preview to the trends. Everyone got a feel for the trend forum on Trendease.TV, now subscribers have the opportunity to get up close and personal with high resolution images allowing them to view the textiles in detail. Cologne — Avid readers of Trendease.com know that we cover the inspirational talent we find at the [d3] contest at imm cologne. This year a large selection of what was on display we have already reported on, but worry you not, we still found a few new gems. If these material, form, function, and perspective tidbits sound intriguing, wait until you see the images of the products!